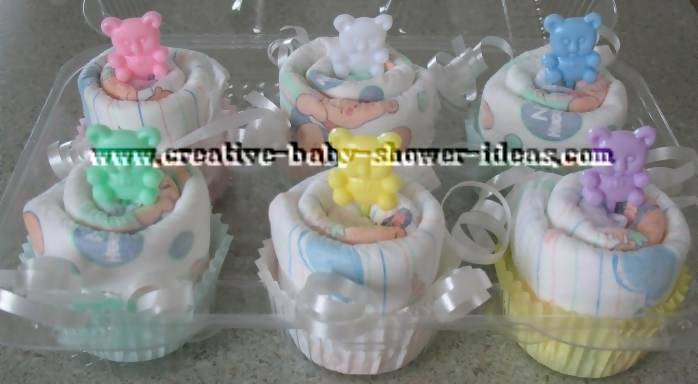 Our baby cupcakes photo gallery was compiled to help give you ideas to make a diaper cupcake for your next baby shower. All the photos you see have been sent in by our readers to help you create your own cake. 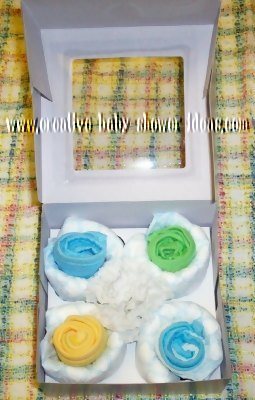 These cupcakes were made with 9 diapers. 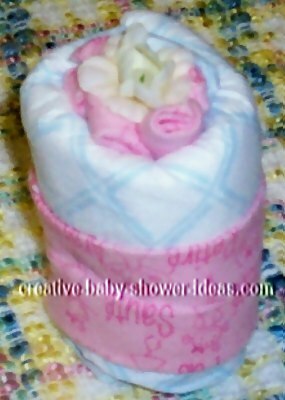 The ribbon color can vary as well as if you want to use washcloths or flowers. 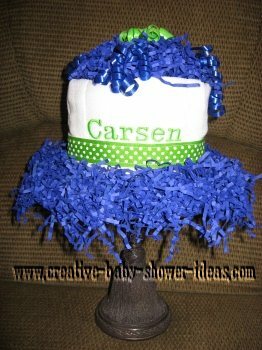 These diapers are tightly rolled, secured around the centers with ribbon, placed in cupcake containers and finished with teddy bear pictures.